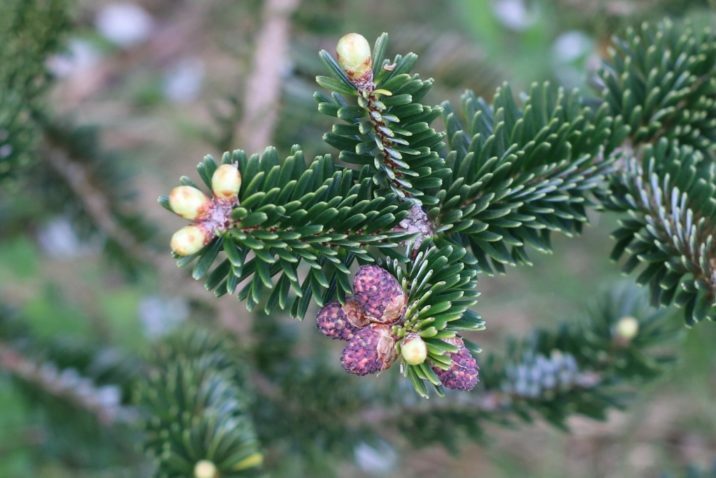 Abies fabri, as described in 1919 by (Maxwell Tylden Masters) William Grant Craib (1882–1933) in Notes from the Royal Botanic Garden, Edinburgh, 11th edition, is commonly known in western countries as Faber fir or Yunnan fir; as well as 冷杉 (lianshan, gaoshancung) in the Chinese language. 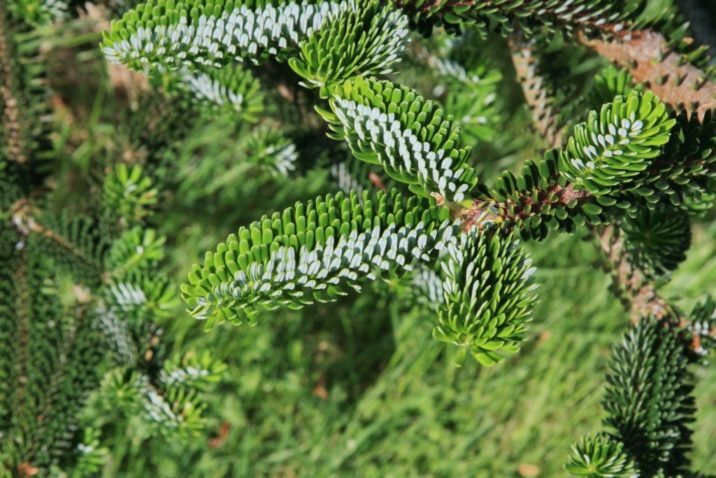 The species name honors Ernst Faber (1839 – 1899), an English cleric who collected plants in China. Ethnobotany. 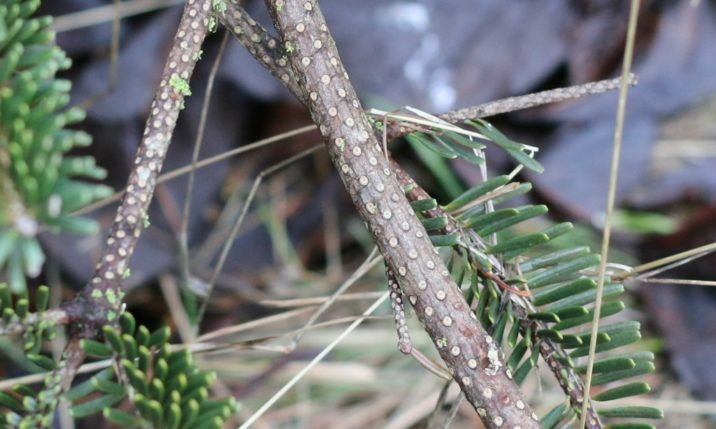 Its wood has been used for construction, railway sleepers, telegraph poles, veneer, papermaking, matches and toothpicks. 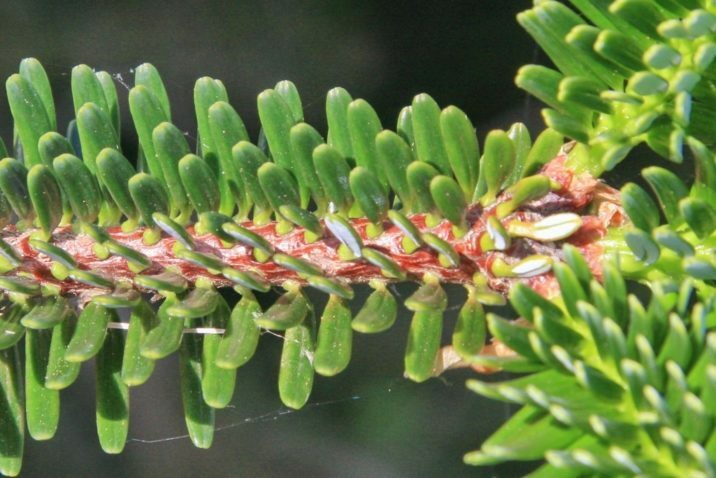 The gum extracted from its bark is regarded as an important adhesive for optical microscopy. 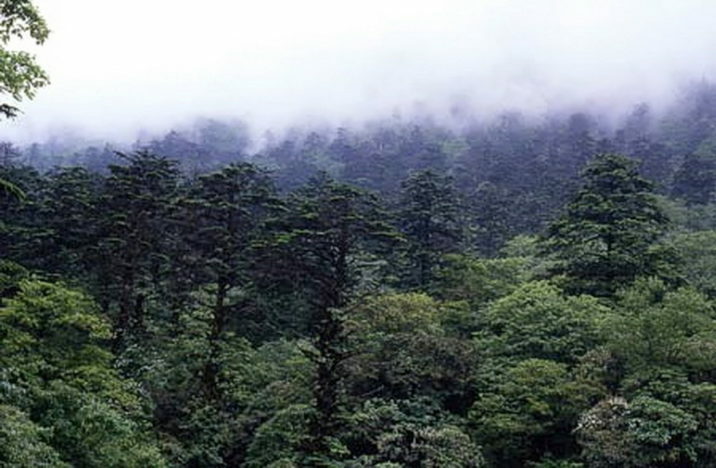 It is also an important shelterbelt tree and is an important component of the Yangtze River watershed. Description. 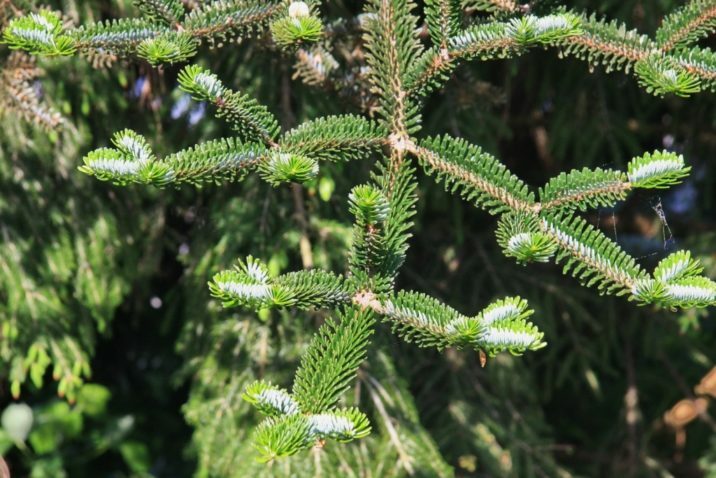 Faber fir is an evergreen, coniferous species of tree which grows to mature heights of 130 feet (40 m) tall, with a trunk up to 3 feet (1 m) in diameter, measured at breast height; and a conical to broadly-columnar crown. 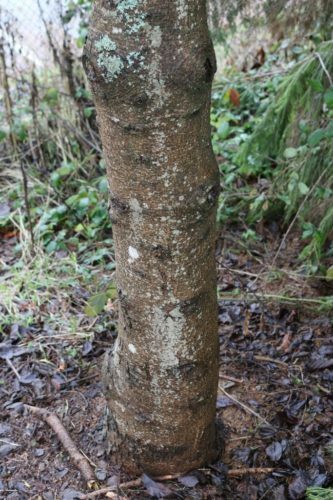 Bark is gray to dark gray in color, with a flaky texture. 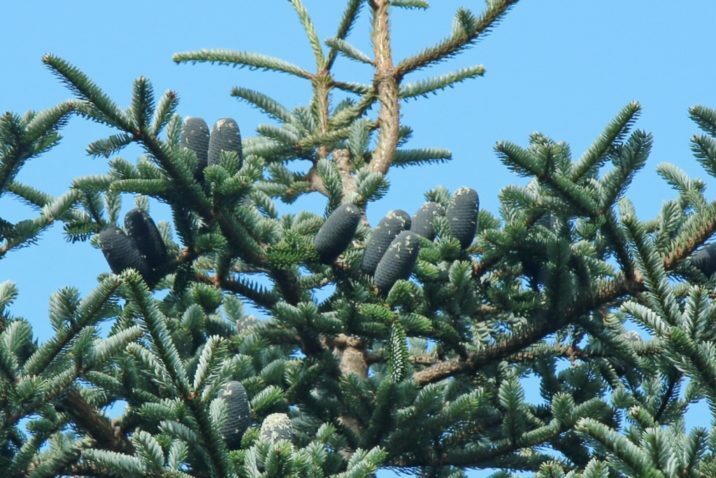 Shoots are yellowish-brown in color, and are either hairless or slightly hairy. 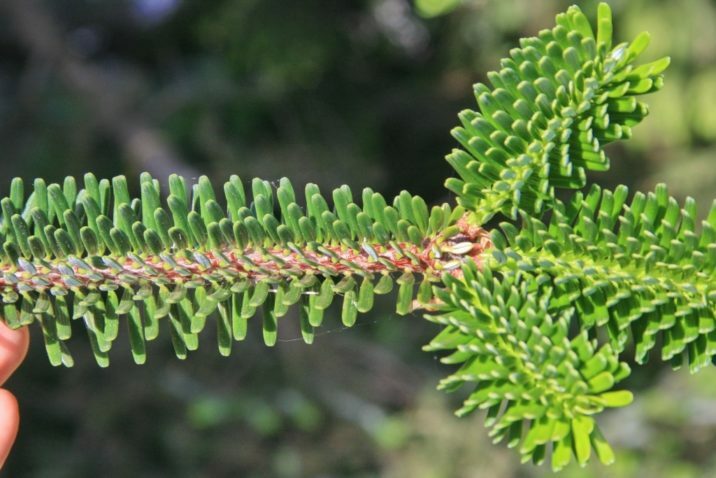 Leaves are linearly arranged, measuring 0.6 to 1.2 inches (1.5 – 3 cm) long and 0.08 to 0.1 inches (2 – 2.5 mm) thick, colored glossy dark-green above, and with two white stomatal bands below, and slightly revolute leaf margins. 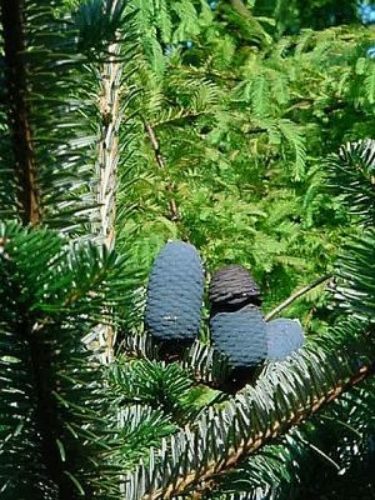 Seed cones are cylindrically shaped, colored dark purple when immature, ripening purple-Blue, measuring 2 to 4.5 inches (5 – 11 cm) long and 1.2 to 1.8 inches (3 – 4.5 cm) wide, with slightly exserted bracts. Seeds are narrowly ellipsoid shaped, measuring 0.52 to 0.64 inch (1.3 - 1.6 cm) long including a black-brown, cuneate wing. Distribution. 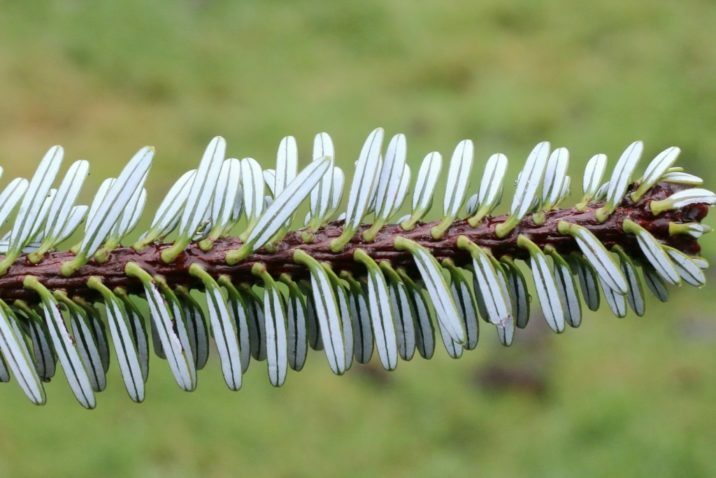 This species is native western China — Sichuan province, occurring on the sacred mountain of Emei Shan (from where it was first described) and westward to the Gongga Shan massif, growing at elevations of 4,900 to 13,100 feet (1,500 – 4,000 m) above sea level, forming pure stands or large mixed stands with Picea likiangensis, Tsuga chinensis, bamboo (Sinarundaria spp. 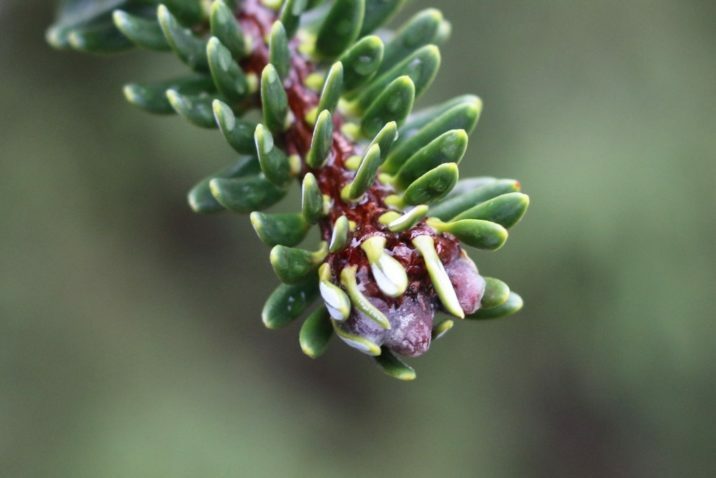 ), many different species of Rhododendron, and other shrubs. 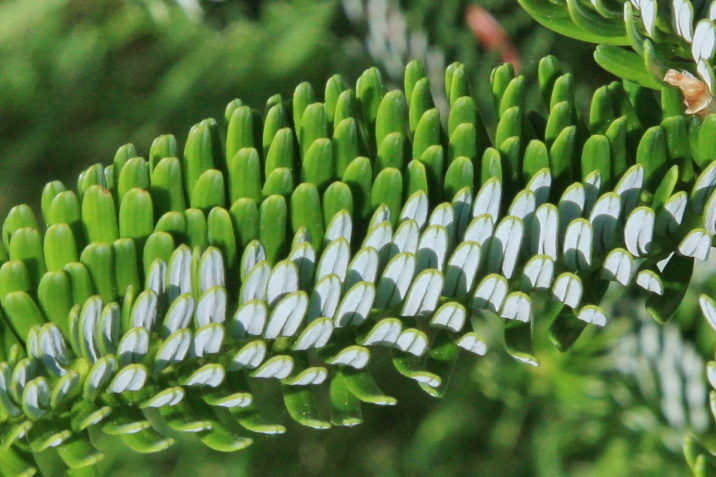 Abies fabri — a closeup of foliage and mature upright seed cones. 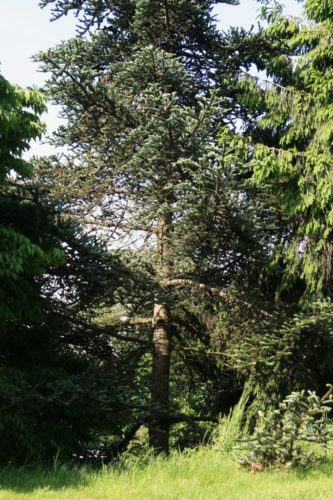 Abies fabri — Faber's fir in habitat in China. 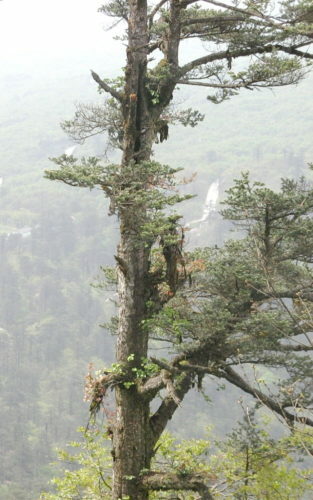 Abies fabri — trunk and branches, Emei Shan, Sichuan, China.